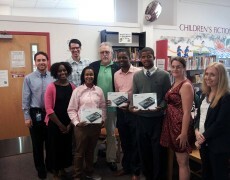 Congrats to our Friends of the Free Library of Philadelphia, Greater Olney Branch for receiving new galaxy tablets! The kids were so excited and we must admit we are too!! Candy crush here we come! Congrats again! !